An inside look at the company’s final preparations before launch. Tucked inside an unassuming office park just south of LA, there's a modest factory where some of the best audiophile-grade headphones are assembled on a daily basis. Audeze has built its reputation on planar magnetic technology, drivers that produce a more natural sound thanks to better frequency response and super thin components. 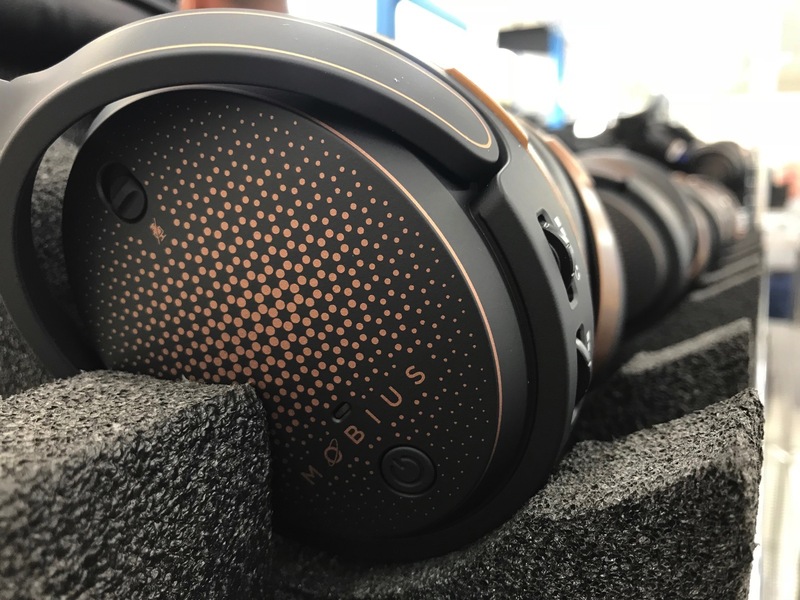 During my visit, the company was making its final preparations to launch Mobius, a gaming headset that packs in audiophile sound and 3D audio to create a more immersive experience, especially for gamers. The company's headquarters is just under an hour from LA in Santa Ana. 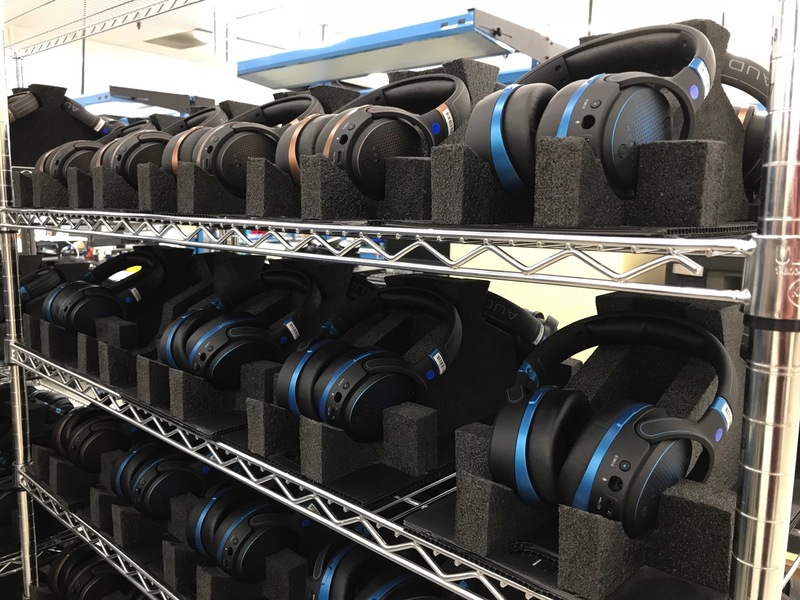 Here, all of the Audeze headphones are assembled. The company even makes its planar magnetic drivers in the modest production facility, a setup that allows it to put together everything by hand, closely monitor quality control and maintain a steady R&D pace. "Our size allows us to move quickly," CEO Sankar Thiagasamudram explained. That was certainly the case with Mobius. Thiagasamudram laid out a rough time for me that began with a concept in June 2017. By October, the company had its first prototype, and tooling was complete in December. The certification process started back in March and the first units are expected to ship by the end of the month. An ambitious product that's packed with tech and features may take some companies years to bring to market. It only took Audeze 12 months. "We are an R&D company," Thiagasamudram said with a smile. That sentiment became apparent when I considered exactly how much tech is inside Audeze's latest headphones. The key selling point for many is Mobius' 3D audio chops. Audeze packed in Waves Nx technology that offers head tracking, sound localization and room emulation. In other words, the 3D sound Mobius offers is a step above much of what has been done before, bringing in the ability to adjust the audio as you move your head. It also means that Mobius goes beyond what a lot of 7.1 and 5.1 surround sound headsets offer. It's a much more immersive soundscape, especially when playing games. Indeed, during a 15-minute session of Battlefield 1 on PC, I could immediately tell Mobius was different from any other gaming headset I'd tried. Not only is there the stunning clarity I've come to expect from Audeze, but there's now a unique spatial component as well. It may not seem like a huge leap, but it means that there's now a crazy good audio option that matches the console or PC graphics your favorite games employ. And, perhaps most interestingly, the sound changes based on how you move your head. "We're trying to bring the audio closer to the visual," Thiagasamudram explained. In the case of Battlefield 1, there's more direction to the planes buzzing overhead, a depth to the gunfire that's up close coupled with those shots ringing out further away. In a way, it allows you to step further into a virtual world with an upgrade to your in-game audio. There are other features for gamers to employ, like separate on-board volume controls for the detachable microphone and audio customization. If you want to tweak the sound profile to emphasize one aspect of the game you're playing, Mobius allows you to do so through a companion app. The 3D features also work for movies. During a clip from House of Flying Daggers, drum sounds from a large opening setting sounded like they were all around me, and with some distance to the tune as well. Again, adjusting each time I'd look left or right. While the Waves 3D tech is a flashy feature, Mobius does offer 3D emulation for 7.1 and 5.1 surround sound. So long as Netflix or another content source offers it, Mobius should do wonders for your personal binge sessions. 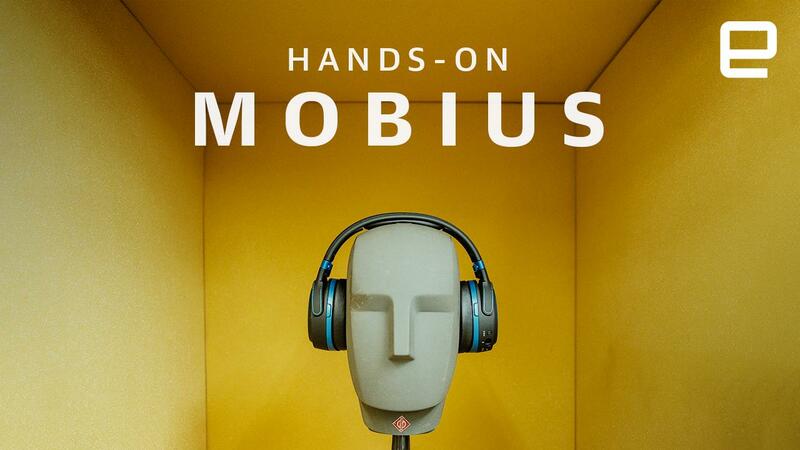 That's the most interesting thing about Mobius to me: It's much more than just a gaming headset. Though the company it targeting gamers right now, Mobius has a lot more to offer. Audeze says that not only is this the first set of planar magnetic headphones for gaming, but it's also the first pair of planar magnetic Bluetooth headphones. And this time, you don't have to worry about sacrificing audiophile-quality sound when you want to go wireless. Yes, battery life took a hit as Audeze says you'll be able to listen up to 10 hours on a charge. However, that's more than enough to get you through a workday. Mobius supports LDAC on Android and AAC on iOS, which means you'll be able to stream audio that won't waste the high quality sound these headphones offer. Based on the 32-bit/96kHz sample I heard from an Android device, Mobius could be the best sounding wireless headphones I've tested. I'm not exaggerating when I say I was blown away. Of course, I'll need more time with them to know for sure, but they certainly made quite the first impression. Like its high-end planar magnetic headphones, Audeze has something to offer sound engineers and designers with Mobius as well. When you plug in these new headphones and fire up Pro Tools, for example, Mobius shows up as an 8-channel audio device. What this means is you're a few driver installs away from being able to troubleshoot and tweak 3D audio and ambisonics in real time. Thiagasamudram got obviously excited while showing me this. He said Mobius is the only headset to offer this type of functionality for sound pros. Unlike its other headphones, Audeze is only making the drivers for Mobius in California. The reality is the anticipated volume for Mobius won't allow for assembling that many units in Santa Ana. Right now though, the company has the initial batch in-house so it can do some quality control testing on the assembled units from the manufacturing facility. That includes audio testing with everyone's best friend "Bob," a dummy equipped with all the necessary gear to check that a set of headphones is performing correctly. The Mobius is up for pre-order for $339, but the price jumps to $400 later this week ahead the official launch. Audeze is crossing the ts and dotting the is right now, but it expects to ship the first batch to Indiegogo backers by the end of June and to begin fulfilling other orders by the end of July. Follow all the latest news from E3 2018 here!